Hang on for the ride of your life! 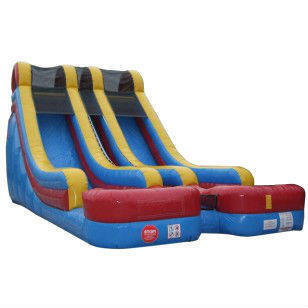 This dual lane slide features an awesome 60 degree slope and can be used wet or dry. Have hours of fun and cool off on hot days with this incredible slide. Great for all types of parties including Birthday, Communion, 4th of July, Bachelor, and Summer Block Parties.